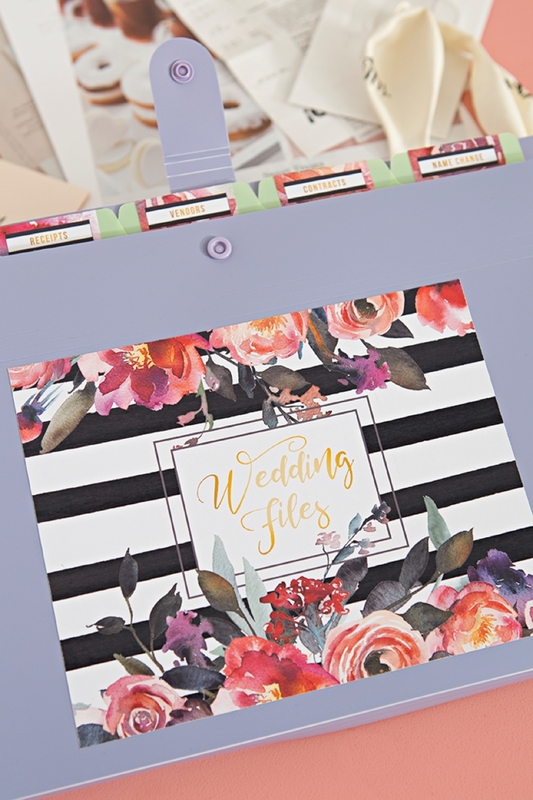 OMG, This DIY Wedding File Folder With Custom Tabs Is The Cutest! 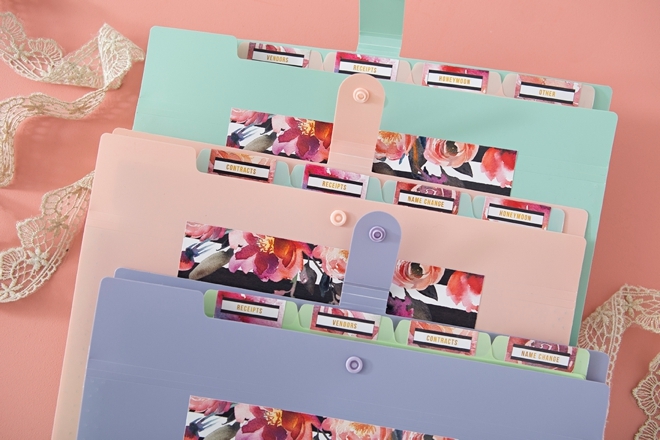 I’m an organized gal, not sure if you’ve seen my craft studio, but some might even say that my organizational skills have some OCD tendencies sprinkled in there a bit which I’m ok with. 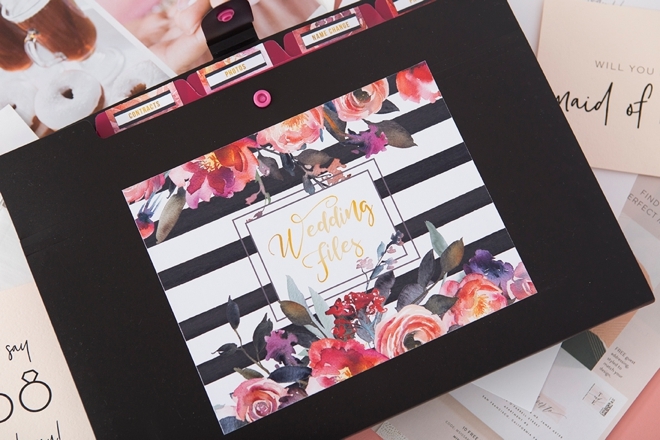 If you’re a little like me, or a lot, you’ll love today’s project! 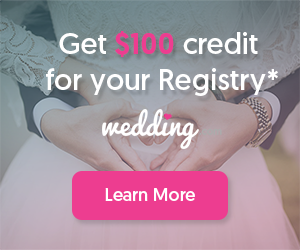 Planning a wedding, getting married, changing your name, going on a honeymoon, all these elements require planning and keeping track of multiple pieces of paperwork. 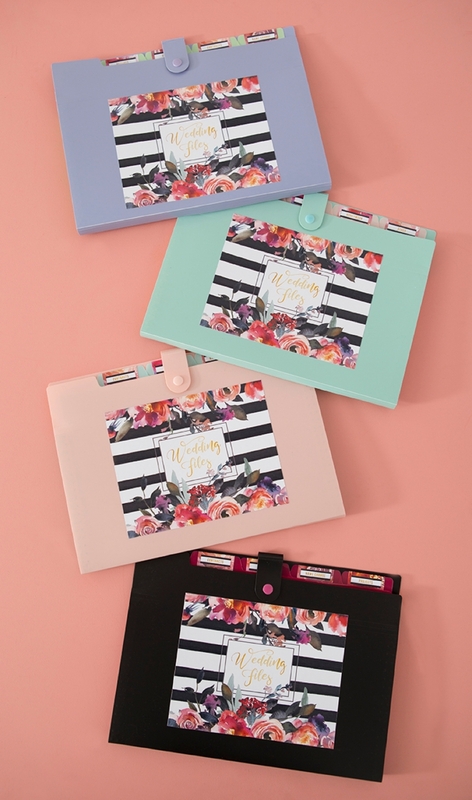 Keep yourself organized in crafty-chic style by embellishing your own file folder with our new free printable file designs! 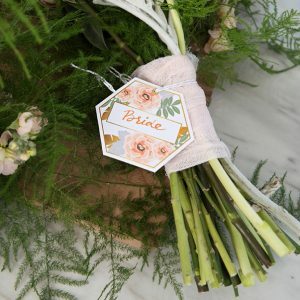 I’m using my trusty Canon iP8720 Crafting Printer to create these shiny floral labels and you can too. 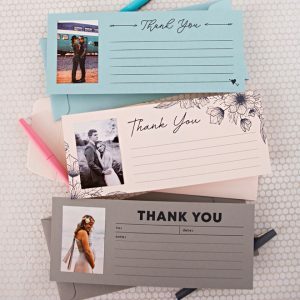 This super quick project will turn into a sweet keepsake that will be fun to look back on years down the road. 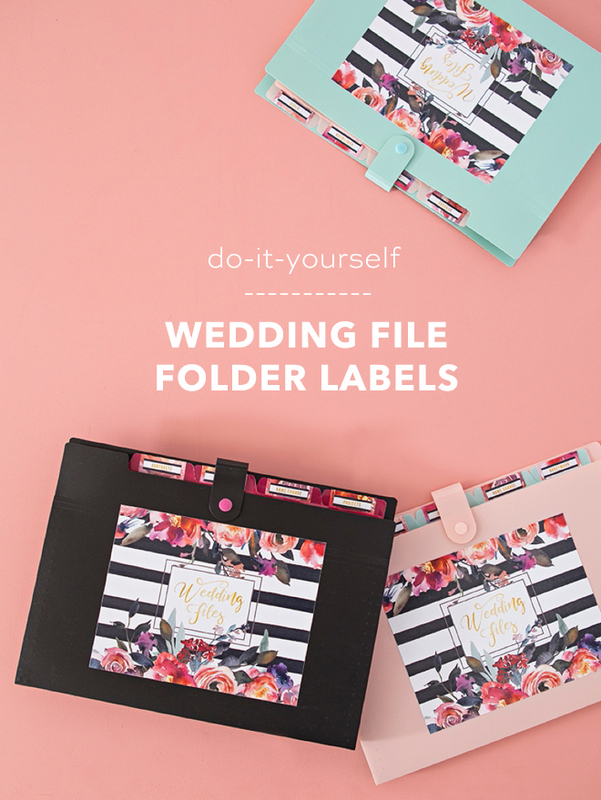 We have 8 different tab labels for you to choose from; name change, contracts, vendors, receipts, honeymoon, photos, projects, and other. 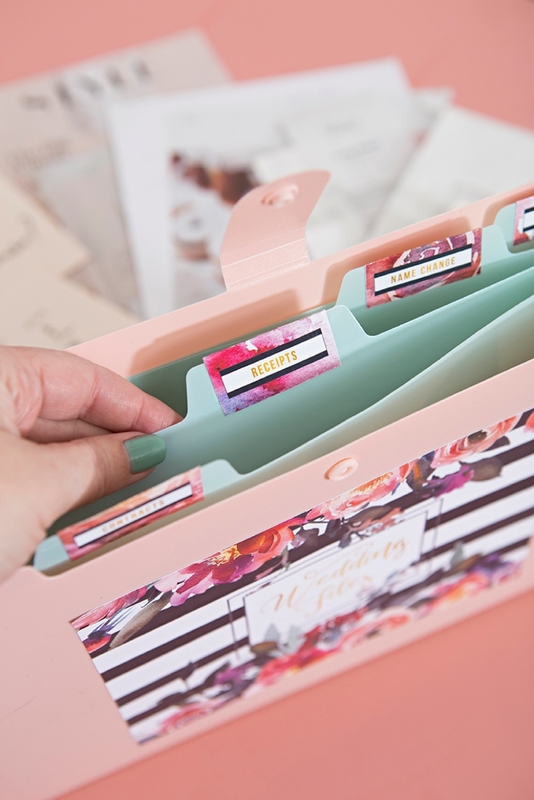 So you get to pick what tabs you’d like and what things you’d like to file and keep safe! 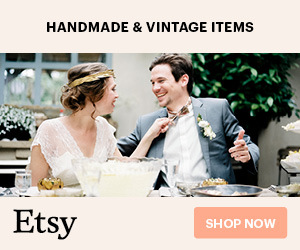 The name change is a really good one, just saying. 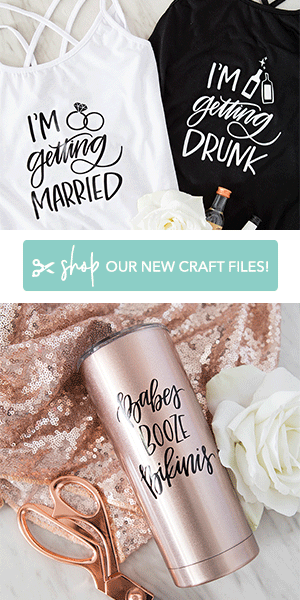 At the end of the post, click on the graphic to automatically download our free wedding file labels. 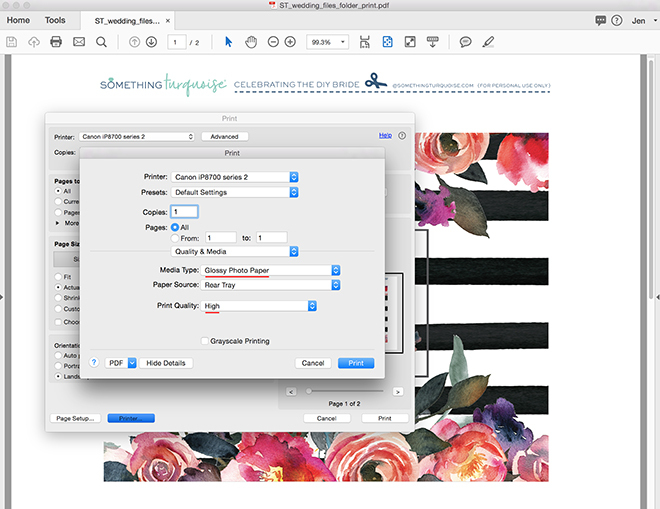 Print the two pages using your favorite Canon printer and 8.5″ x 11″ glossy sticker paper. 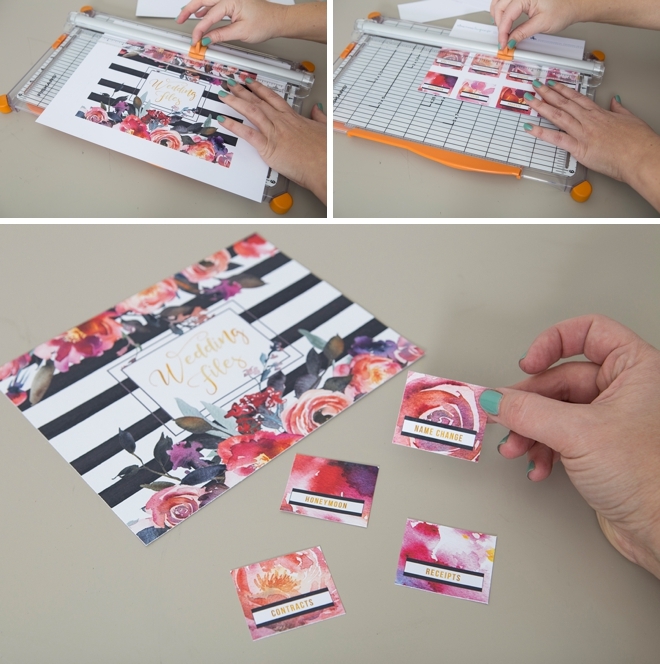 This sticker paper is essentially one giant sticker so that you can print and turn anything you’d like into a sticker without worrying about buying the correct labels and having them print just right. 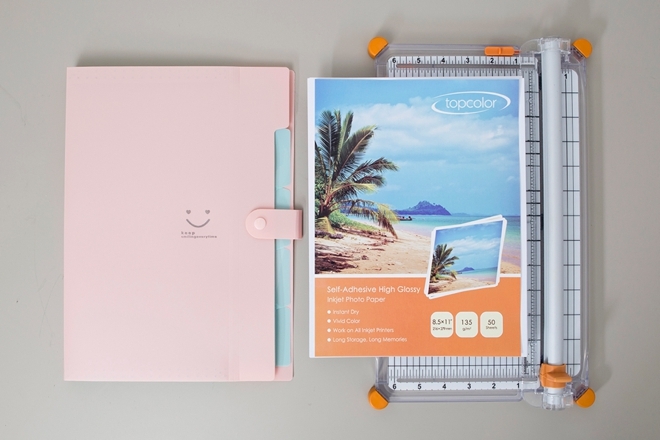 It’s awesome and one of our favorite supplies. 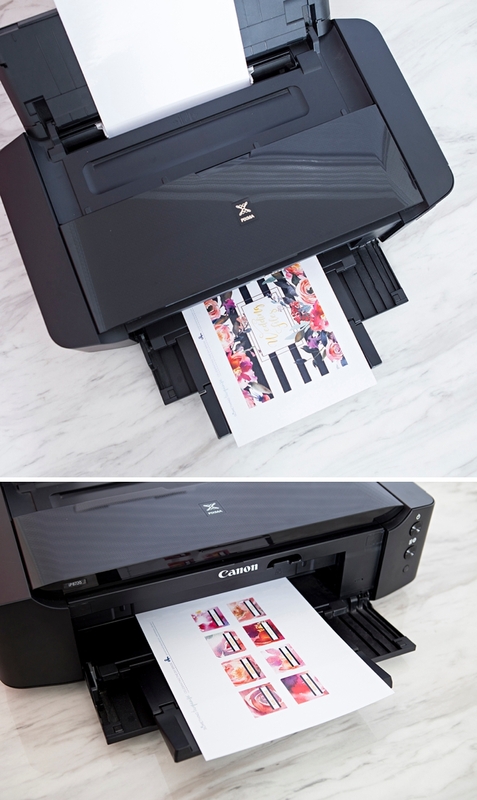 The Canon printer settings will let you choose “glossy photo paper” and “high quality print”, which will produce a stunning print for your labels! 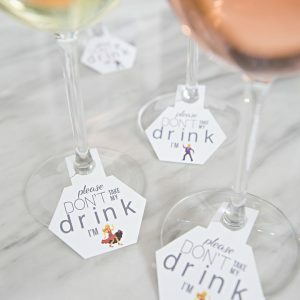 Cut the labels out by using a paper trimmer or scissors, your choice. 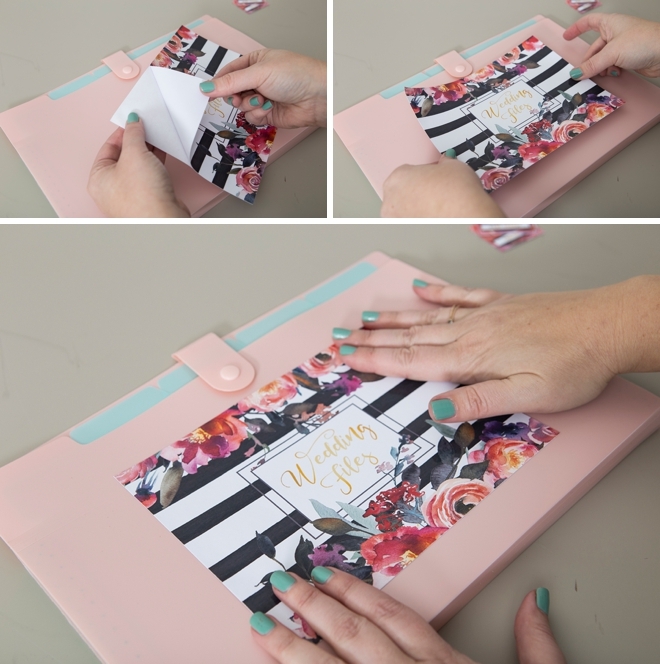 Super easy and super cute right!? 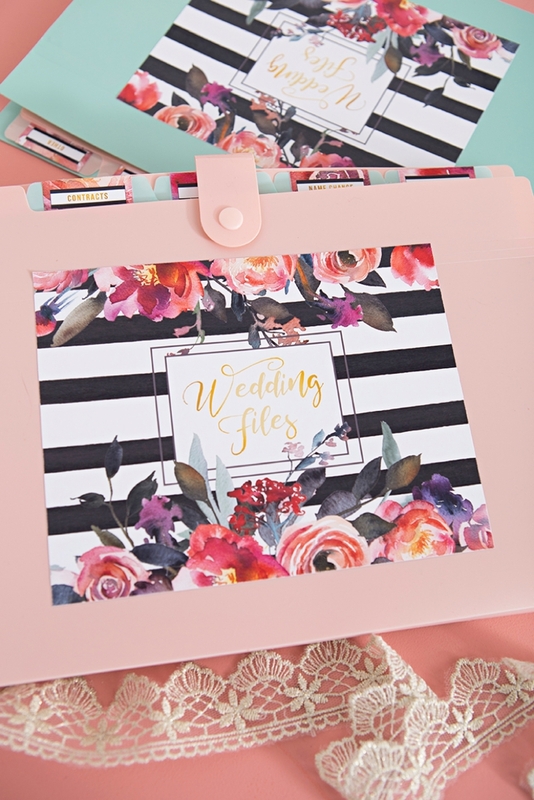 Feel free to use any type of accordion folder or other folder you find, as long as it matches our color theme of course! 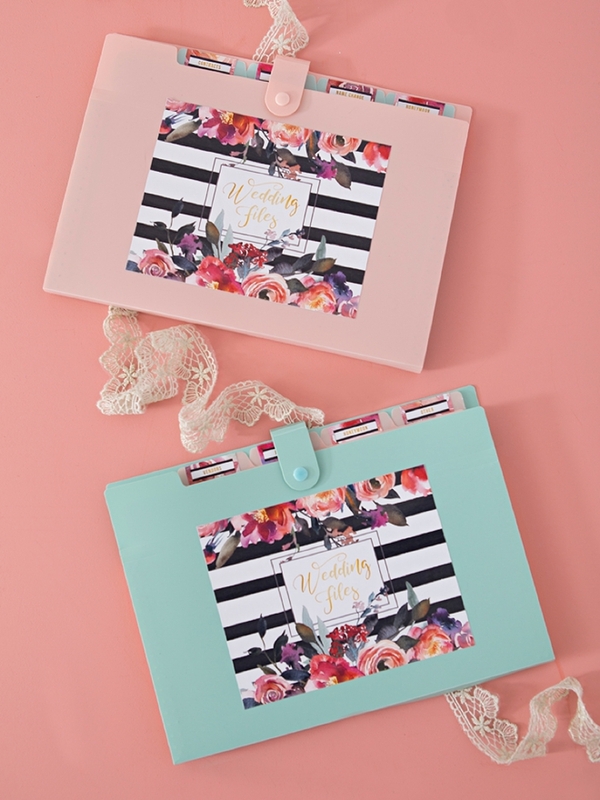 Then keep all your important wedding documents in one place… and file it away to look back on as a fun keepsake!